The iPad Pro is the Apple tablet of my dreams. I’ve been lusting after Apple’s crazy-big iPad since the first whispers of the device echoed around the rumor mill a few years ago. When Apple finally unveiled the Pro at the September keynote, I was beyond stoked to fork over more than $1,000 for an iPad big enough to host Thanksgiving dinner on. The display is breathtaking. The graphics are mind-blowing. The Apple Pencil is magical. Even the freaking speakers are better. But after weeks of debating whether the Pro is really worth it, I’ve realized its diminutive little brother, the iPad Mini 4, is really the perfect tablet for me. The big appeal of the iPad Pro to me is having a laptop replacement I can take almost anywhere, like all the chill hiking spots I hit up in Arizona. Being able to shoot photos and video out in the wilderness, then edit them immediately at the campsite on the iPad Pro’s huge screen, sounds awesome. But lugging around the 1.57-pound tablet doesn’t. Sure, 1.57 pounds doesn’t sound like much, but every gram in your backpack adds up. Why haul around something so beefy if you can get nearly the same features in a much lighter package? 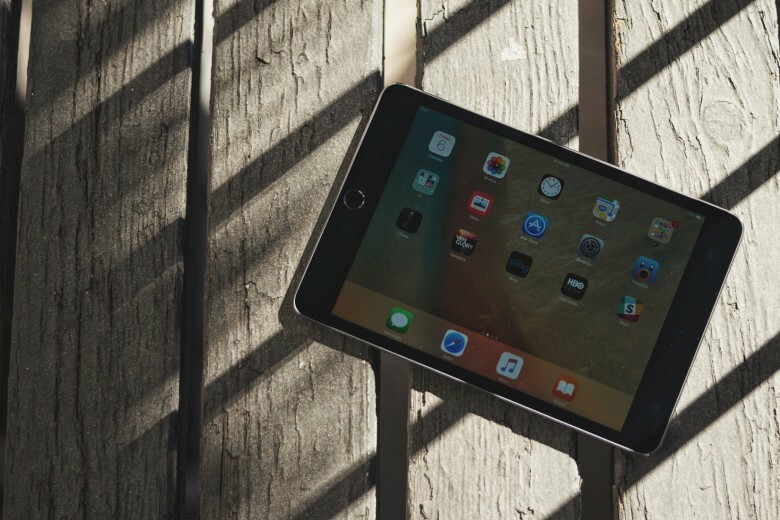 Apple engineers put the iPad mini on a diet and dropped its weight down to just 0.65 pounds. That’s less than the Moleskine notebooks I carry around. Last year’s upgrades on the iPad mini 3 were a gigantic ripoff. $100 for Touch ID and gold paint, Apple?! C’mon, Tim. This year, Apple redeemed itself by making the iPad mini 4 every bit as good as the iPad Air 2, only it’s $100 cheaper. Paying more than $500 for a tablet right now still seems a bit crazy, too. I would have most likely spent double that on the iPad Pro because 32GB just isn’t going to cut it for most people. At $949 for the 128GB model, that’s more than my MacBook Air cost — and I’m not confident the iPad Pro can completely replace it quite yet. Just look at how much thinner the iPad mini 4 is than the iPhone 6s. According to Apple’s website, it’s 18 percent smaller than the last two versions, but the way it feels when you pick it up is astonishing. It’s so dangerously thin it feels like you could fold it up like a newspaper. The A8 processor in the iPad mini 4 isn’t quite as powerful as the A8x chip in the iPad Air 2, but it’s pretty close. (The Mini boasts 1.3x faster CPU performance and 1.6x better graphics versus the iPad Air 2’s 1.4x faster CPU and 2.5x faster graphics.) The iPad mini 4 also boasts all the internals found on the iPad Air 2, like an 8-megapixel iSight camera, slo-mo video, Touch ID and Apple Pay. The form factor of the iPad Mini 4 is perfect for reading. I can’t imagine how uncomfortable it will be to lay in bed with a giant iPad Pro weighing down on your chest. Sure, you’ll be able to see four pages at a time, but your arm will fall asleep holding it up. In some ways, the mini 4’s screen is actually better than the iPad Air 2’s, even though it’s smaller. With a 2,048‑by‑1,536 resolution at 326 pixels per inch, compared to the 264 ppi display on the Air 2, you’re less likely to be able to see any pixels on the mini 4. The Apple Pencil looks incredible. I’ve devoured the demo videos of Pixar and Disney artists testing the new stylus, and it’s totally lustworthy. I would have bought the iPad Pro just for the ability to use the Pencil, but alas, I am not an artist. No amount of pressure- and tilt-sensitivity is going to change that. 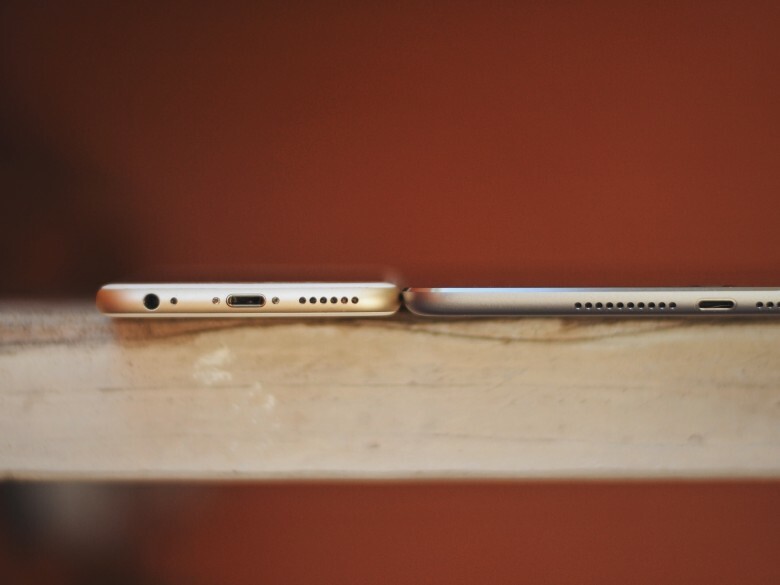 I downsized from an iPhone 6 Plus to the iPhone 6s this year. My crotchal region is certainly glad to be free from the 6 Plus pinch, but over the last few weeks I’ve missed being able to read, watch videos and play games on that bigger-than-big display. The Plus-size iPhones are really like mini-mini tablets, which are perfect for people that don’t own a tablet. Now that I don’t have a mini-mini tablet, I need an actual tablet to read books, play Vainglory and edit photos on. Artists and creative types that push their devices to the limit stand to benefit the most from the iPad Pro, but I’m not really one of them. Nearly 95 percent of my computing time is spent writing and researching blog posts. All I really need is a browser and a good keyboard. Working on an iPad Pro isn’t going to be a better experience for me. Editing photos and videos would be nicer and faster on the Pro, but I just use iPhone apps like VSCO and Snapseed, so I wouldn’t see much benefit from the revved-up graphics. In a few years, the iPad Pro will be more appealing to everyday users, but for now it’s mostly just perfect for graphic artists, designers and the like. 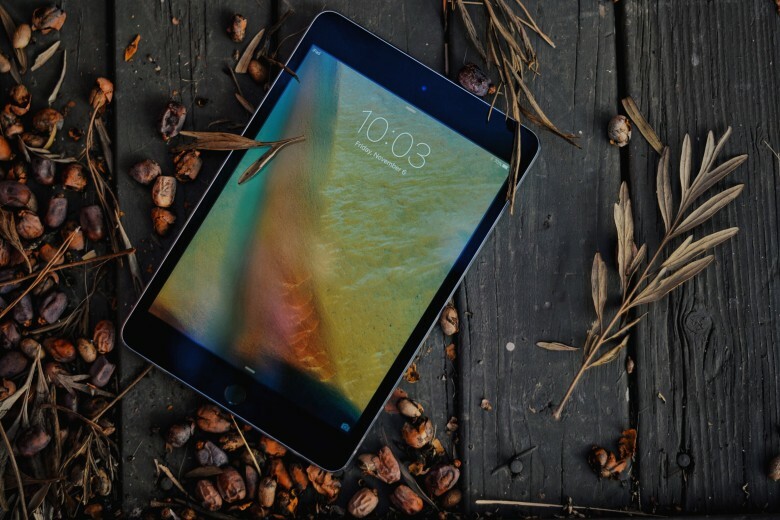 The iPad Pro might be the best tablet Apple’s ever created, but the iPad mini 4 is the most practical tablet yet to come out of Cupertino.